I hope everyone is doing well this winter. 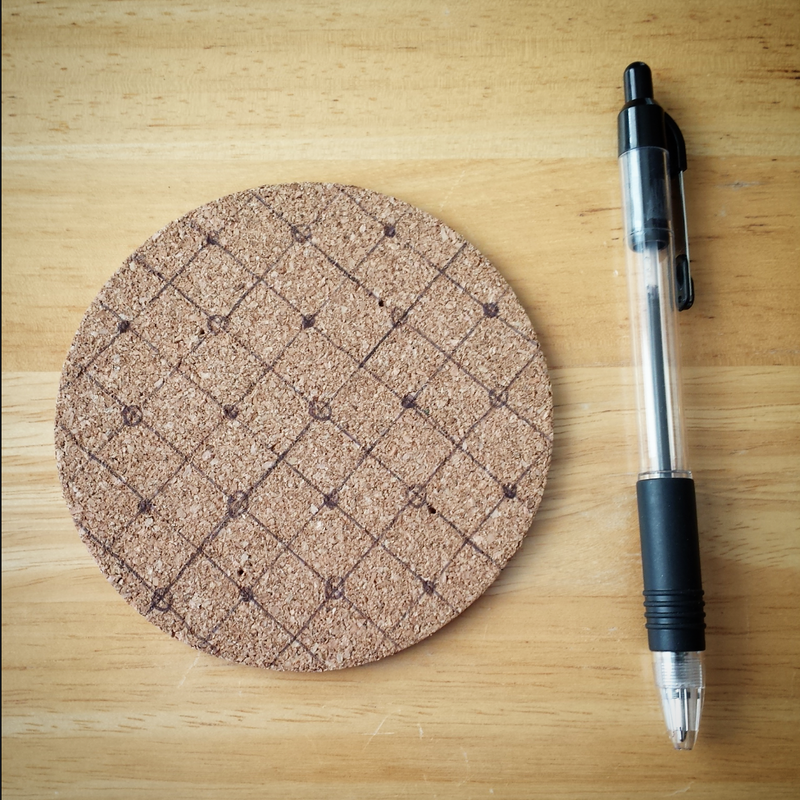 I had some great fun making cork coasters over Christmas break. YOU WILL NEED SOME SORT OF WOOD BURNING TOOL FOR THIS PROJECT! And also coasters, they are also important. 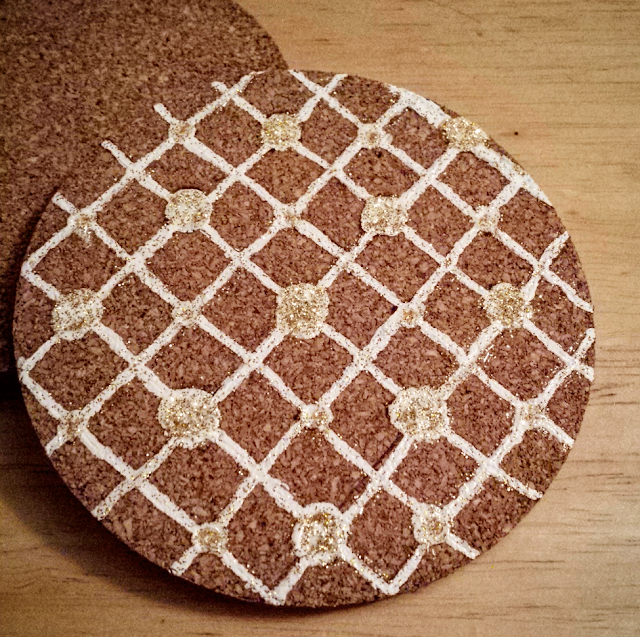 You can buy coasters at Wal-Mart, Hobby Lobby, Amazon, and more. Wood burning tools are available at Wal-Mart, Lowe's, and more. Though you may need some pocket jingle to pull of this project, this tool can be used for a plethora of crafts, so this is definitely an investment if you are interested in small woodworking crafts. I began by tracing the coasters onto printer paper and drawing on designs. I made several sheets of these so I could have multiple design options. 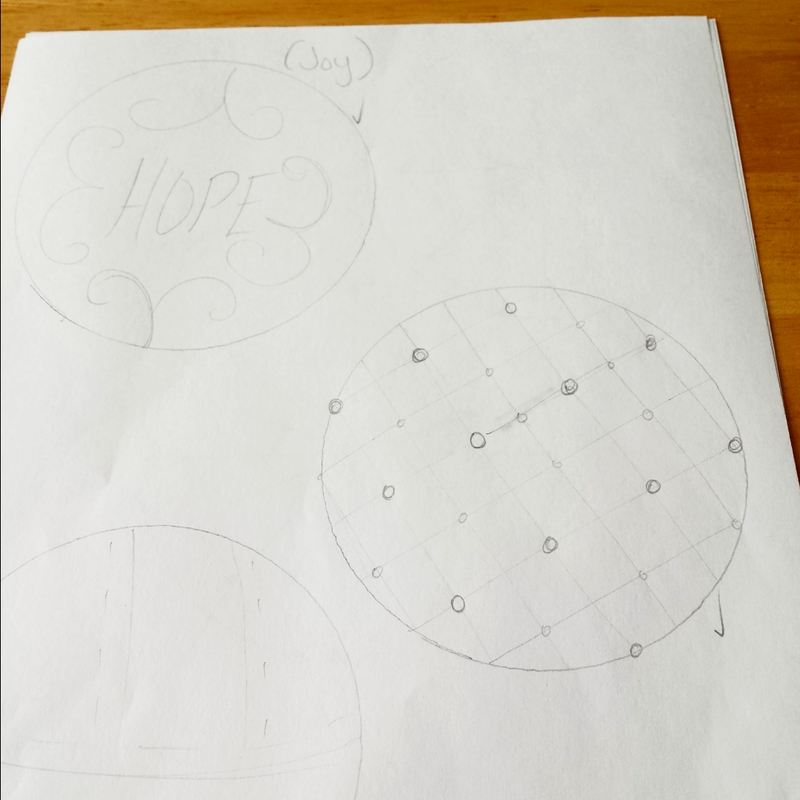 This is the simple design that I started with, and having only four coasters, I had to pick carefully. 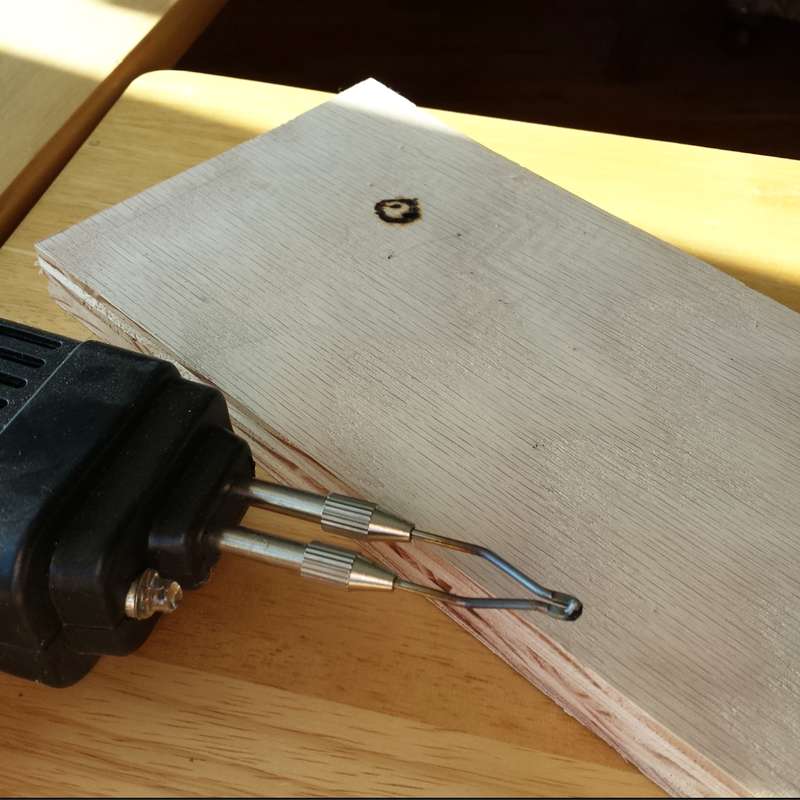 I used a soldering gun, and, as practice, tested out some shaped on a spare piece of wood. I then moved to practicing some more elaborate shapes on a spare piece of cork, to get the feel of the thinner, more pliable material. The gun doesn't need to be very hot to burn and shape the cork, and you want to move fairly quickly from spot to spot to avoid burning through the material. Next, I used a pen to lightly trace my design on to the coaster. The burn should cover the trace marks, so there is some slight room for error on this step. I burned my design onto the coaster, and this was the result. 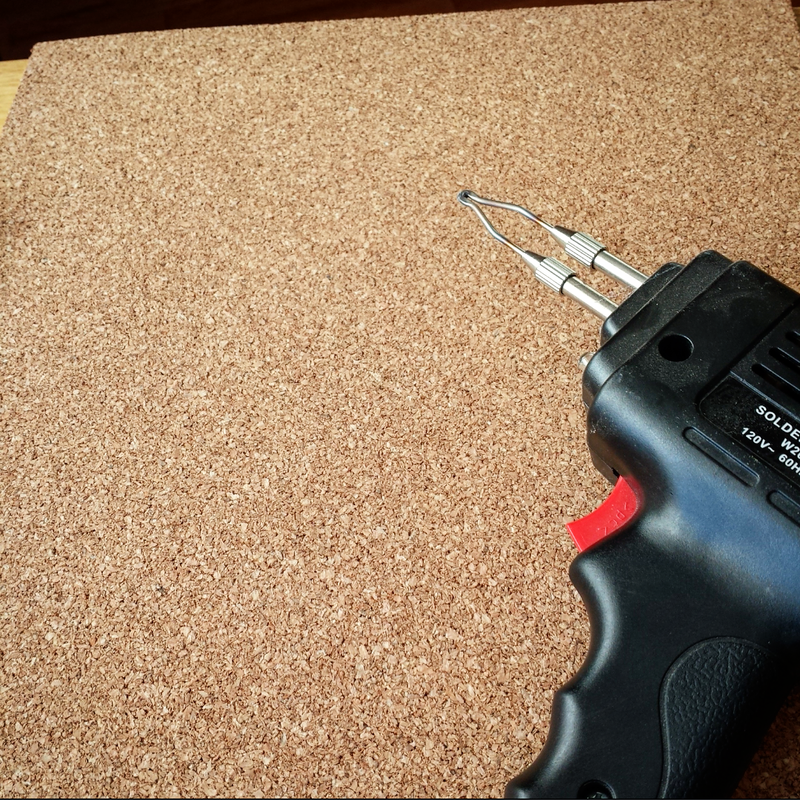 Each spot where the cork is burned, the heat and pressure from the tip of the soldering gun form a slight groove. The longer you hold the gun stationary on the coaster, the deeper the groove becomes. Next I added white paint all through the grooves. 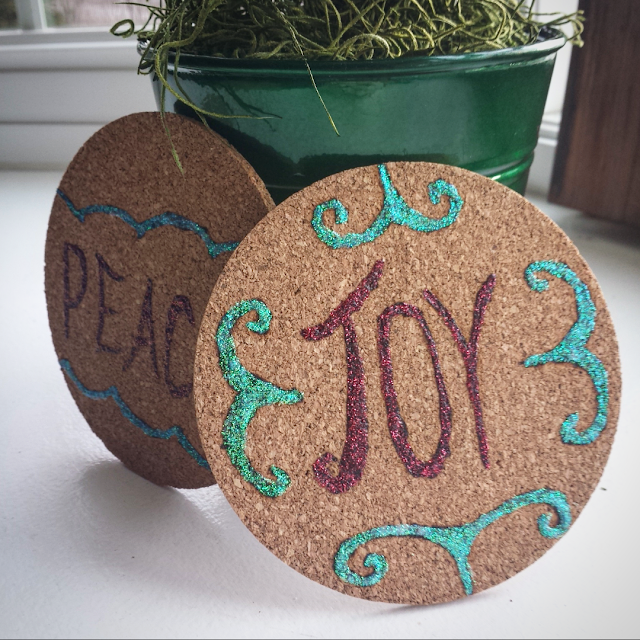 Adding color or glitter to just the grooved areas allows most of the cork to show through and do it's job of soaking up liquid to save your furniture. After letting the paint fully dry, I coated the mixture with glitter to add some sparkle and seal in the paint. 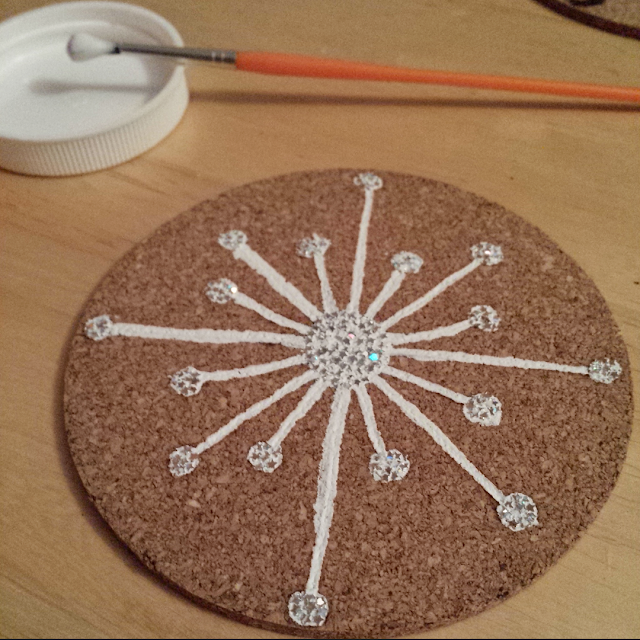 You could individually add glitter to the wet paint, like I did with this other coaster. After the paint dried, I coated the design with Mod Podge to seal it all in. 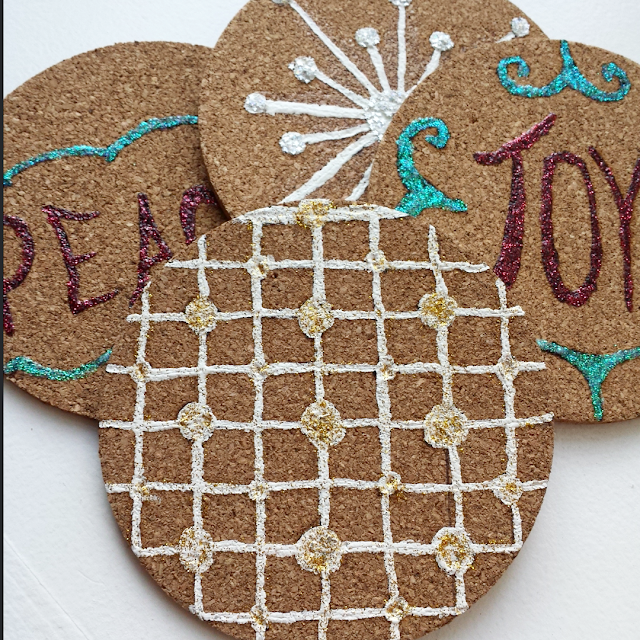 You could also combine glitter with glossy Mod Podge, and carefully brush the mixture into the grooves. This glue tends to dry clear, so the glitter is still able to sparkle. Using glue that dries with a somewhat clear white sheen, like matte Mod Podge, still allows you to see the glitter, but the sparkle is slightly dulled. 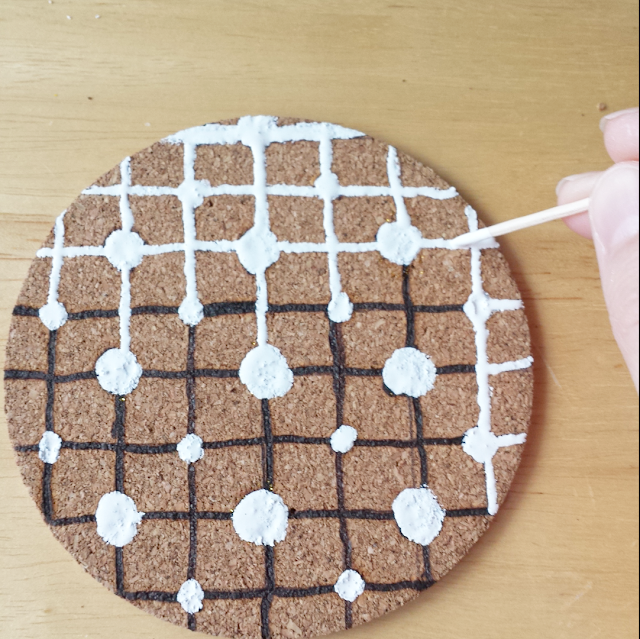 I used this method with the other two coasters in the set. 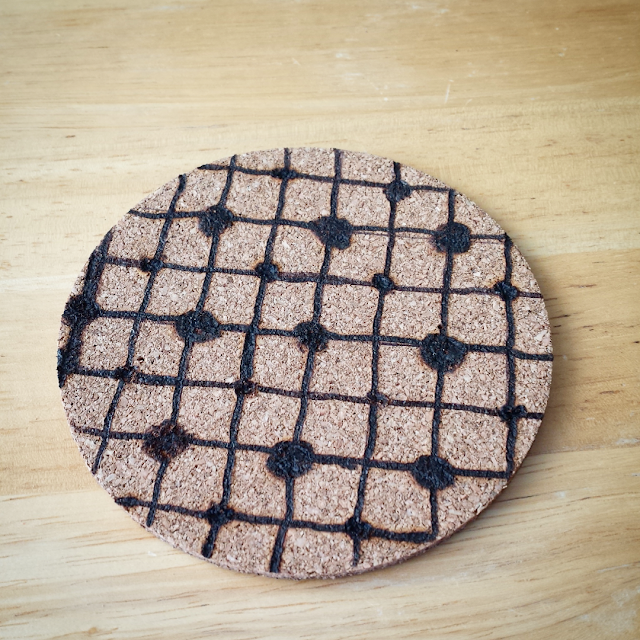 What are some designs you want to burn onto coasters?